Included among Raleigh's more than one thousand marine paintings are several images of polar bears rollicking in the icy Arctic. In the wittily titled Chilly Observation, a polar bear eagerly waits, with open mouth, for the whaling boats seen in the distance to throw a whale's carcass back into the sea. 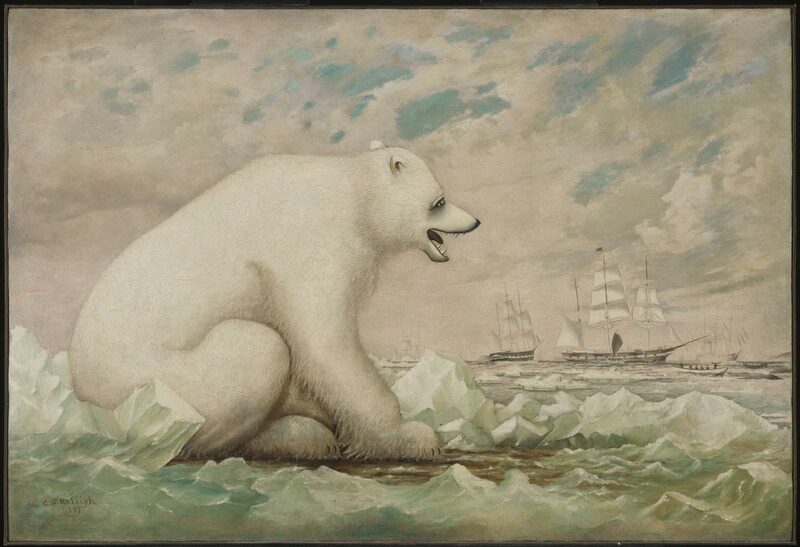 A self-taught artist, Raleigh combines naive elements, such as the anatomy and large scale of the polar bear, with carefully observed details, as seen in the depiction of the whaling boats. Raleigh's sophisticated handling of surface texture and light effects are evident in the translucent ice and water as well as the pink glow reflected in the white hair of the bear.